BUSINESS SUCCESSION PLANNING 101: YOUR BUSINESS NEEDS YOU! No one wants to focus on their own mortality but most people still have some kind of an end-of-life plan that includes a will and a burial plot. Unfortunately, small business owners tend to forget that their small business could be the largest asset they leave their family … but only if they plan for their business to live longer than they do. Birth, death, sickness, marriage, divorce, natural disasters…these are all variables that can change your life and the life of your business. Ignoring them is not the answer. A good business succession plan can protect your small business from all of them. What are the advantages of creating a business succession plan? First, it ensures an agreeable price for a partner’s share of the business and eliminates the need for valuation upon death because the insured agreed to the price beforehand. Second, any life insurance policy benefits will be immediately available to pay for the deceased’s share of the business, with no liquidity issues or time constraints. This effectively prevents the possibility of an external takeover due to cash flow problems or the need to sell business or other assets to cover the cost of the deceased’s interest. And third, a succession plan can greatly aid in allowing for timely settlement of the deceased’s estate, including avoiding probate and the eliminating the estate tax. What are the most common questions resolved by implementing a business succession plan? 1. Who will be my successor? 3. What will happen to my business partners and their families? 4. How will my business be transferred to my partners or heirs? 5. What happens to my company if I become incapacitated? 6. Can I keep my relatives from inheriting my company? 7. How do I protect my spouse and children? At Wild, Felice & Partners, PA, we are able to provide a full range of legal services to our business clients. Whether buying a new business, selling an old business, or operating a current business, our lawyers are trained to examine all aspects of business planning and see to it that all possible issues are addressed. We pride ourselves on providing accurate advice for your specific business needs. Our law firm provides the knowledge and experience of a large law firm, while giving our clients the hands-on service and attention to detail that only a smaller firm can truly offer. Our lawyers regularly go beyond the customary services, tailoring their work to the specific needs of each client. Our attorneys are well versed in a wide variety of legal practice areas which allows us to provide our clients with one-stop shopping for all of their legal needs. Rather than having to seek various individual counsels and having the headache of managing your own legal issues and costs, we provide the convenience of one South Florida location for all of your legal needs. You will receive the quality work product of a large law firm and the low cost and high attention to detail that small law firms are valued for. We realize that each client’s needs are unique and treat each of our clients as if they are our only client. We hope you will take the time to contact one of our attorneys and truly experience all of the benefits that our South Florida law firm has to offer. We are able to provide the expertise and guidance needed to develop a succession plan specifically tailored to your business. Our lawyers are trained to examine all aspects of business planning and see to it that all possible issues are addressed. For more information on how to plan for you business’ future, contact our South Florida law firm of Wild, Felice & Partners, PA for a free consultation at (954) 944-2855. In the perfect land of estate planning, the SAG Award for outstanding cast would be presented to the talent behind the fictional production of “The Spouse’s Share.” Ben Affleck and ‘Argo’ would have nothing on the South Florida estate planning attorney and the client behind the making of a Last Will and Testament. The client’s moment to shine occurs when he or she takes the time to discuss with a lawyer how his or her assets should be distributed to the surviving spouse upon death. This golden opportunity is lost forever when this type of critical planning escapes one’s attention. Do you know what happens in Florida if you are married but die without a will? Fla. Stat. §732.102 governs the surviving spouse’s share of the intestate estate. 1. If you die without any surviving descendants, your entire intestate estate will go to your spouse. This does not typically include non-probate assets. 2. If you die with surviving descendants, all of whom are also descendants of the surviving spouse and the spouse has no other descendants, then he or she again receives the entire intestate estate. 3. On the other hand, if you have children from a previous relationship that are not lineal descendants of the surviving spouse, then he or she only gets half of your estate. 4. If the surviving spouse has children from a previous relationship that are not yours but you have one or more children together, then again he or she only gets half. 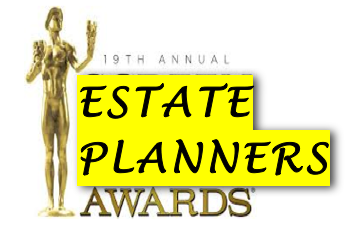 The Academy Award of all estate planning begins with a Last Will and Testament. If you don’t ‘act’ now with respect to your assets, there can be some unexpected twists and turns in the story line of your legacy that you might not like. What if you would like your spouse to receive more or less of your fortune? To avoid any unintended and unhappy endings, make the call to your estate planning attorney today for proper direction. Lights, Camera, Action… you have a will to draft. Wild Felice & Partners is a full-service, Fort Lauderdale, Florida based law firm with a specialty in estate planning, asset protection and probate administration. We utilize a combination of real estate law, estate planning strategies, corporate formation, family law, and asset structuring to assure that our clients are protected from potential litigation, creditors, and any other threats that may be looming. Our law firm provides the knowledge and experience of a large law firm, while giving our clients the hands-on service and attention to detail that only a smaller firm can truly offer. Our lawyers regularly go beyond the customary services, tailoring their work to the specific needs of each client. At Wild Felice & Partners, we take customer service very seriously. It is our constant goal to exceed expectations and respond proactively to any legal issues that our clients may encounter. We pride ourselves on working together with our clients to set and achieve the desired outcome rather than merely categorizing our clients under a particular label and treating them each legal issue in a predisposed way. We realize that each client’s needs are unique and treat each of our clients as if they are our only client. We hope you will take the time to contact one of our attorneys and truly experience all of the benefits that our South Florida law firm has to offer. I have a dream today… that my little children will one day not be judged by the lack of my written intentions in a legal document but by the content of my estate plan. Did you know that Martin Luther King, Jr. a great national icon who will forever hold his legacy in history did not have a will in place? His lack of estate planning culminated into a disastrous feud among squabbling heirs, mismanagement of his assets, and never ending court battles over the control of his estate. A simple will allows you to unequivocally state your intentions as to who you would like to receive your personal property such as jewelry, artwork, and furniture. Unfortunately, for MLK, this was not the case. He allegedly gifted his handwritten letters and transcripts of speeches relating to the civil rights movement to someone other than his children. This spiraled downward into an unceasing contention between his heirs and the holder of these valuable, historic documents as to who the rightful owner is. 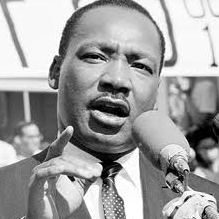 The critical question is what did MLK intend? I guess we will never know. However, you can learn from MLK’s mistake by having your South Florida estate planning attorney draft your Last Will and Testament today. By clearly stating your intentions as to who gets your personal property in this legal document, you can avoid bitter conflicts among your heirs as well as unending, expensive court battles and irreparable heartache among those you love. A Last Will and Testament also allows you to address your wishes concerning burial or cremation instructions. Also, you can appoint a guardian for your minor children in the event you become incapacitated or pass away. The world of high school, college and professional sports is struggling with the use of steroid by some of the biggest names in the game. An athlete on steroids enhances his or her body performance and muscle mass. No need to use steroids to enhance the performance of your estate plan. Living trusts will work just fine. A “living trust” is the trust category most commonly employed for estate planning purposes. The two main living trust subcategories are “revocable” and “irrevocable.” As the respective terms imply, the Settler may revoke the former type of trust at any point during his or her lifetime. The two main estate planning benefits of living trust establishment include: 1) assuring adequate asset administration in event of the Settlor’s incapacitation and 2) probate avoidance upon the Settlor’s death. Modern-day medical advances have greatly extended human longevity. It is therefore common for elderly people to be stricken with various debilitating disorders that destroy or severely diminish the mental or physical capacity necessary to manage one’s own affairs. In such instances, a living trust ensures that hard-earned assets are not wasted due to neglect or mismanagement. Just as wills are “paper voices” by which the deceased express their desired asset divisions, trusts are “legal faces” for the administration of living parties’ assets. Avoiding probate is a major strategic estate planning advantage of trusts. Conventional wills must be filed in a court of competent jurisdiction before any property distributions thereon. This process can be lengthy, complicated, and costly. Living trusts eliminate such eventualities by direct asset distribution to heirs upon the Settlor’s demise. Estate planning is an especially dynamic legal field. New trusts are being devised constantly. Different trusts feature different legal requirements and are designed to serve various purposes. Moreover, individual circumstances change over time that may dramatically affect your ideal estate planning strategy. A qualified lawyer should prepare all living trusts. Indeed, the Florida Supreme Court has decreed that the preparation of living trusts by any party other than a licensed Florida attorney constitutes the unauthorized practice of law. This criminal offense is punishable by fines and/or imprisonment. Consult a competent, qualified estate planning attorney in Florida today. Do not delay taking affirmative steps to secure the best future for yourself and your loved ones another moment.